Rooted in the latest nutrition science, these easy-to-follow, stunningly photographed recipes will appeal to anyone looking to live a longer, healthier life. 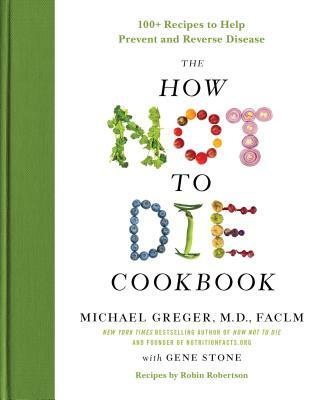 Featuring Dr. Greger’s Daily Dozen—the best ingredients to add years to your life—The How Not to Die Cookbook is destined to become an essential tool in healthy kitchens everywhere. Michael Greger, MD, is a physician, author, and internationally recognized speaker on nutrition, food safety and public health issues. He runs the popular website NutritionFacts.org, a nonprofit, science-based public service providing free daily videos and articles on the latest in nutrition research. Dr. Greger also proudly serves as the Director of Public Health and Animal Agriculture at the Humane Society of the United States. Gene Stone, a former Peace Corps volunteer, works for several community organizations and is the author of six books, including Little Girl Fly Away.